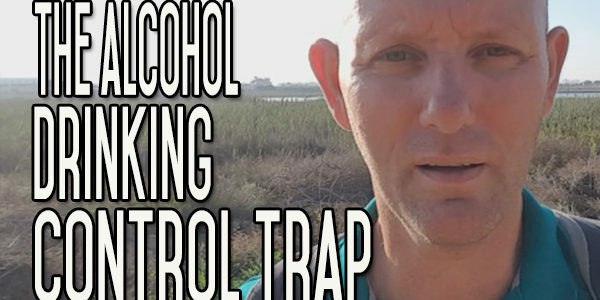 Today, I just wanted to talk about the trap of thinking think you have got your alcohol drinking under control. This is a big mistake that many people make. It doesn’t happen after a week or two weeks, we’re too wary for that. But once you’ve been off the booze for a month – for some people it’s a month for other people it’s a couple of months, six months down the line. You’ve managed six months man, you’ve done three months, whatever it is. And you’re doing really well and you’ve proved that you can control your drinking. You know, what would happen if you took one drink? If you went down to the pub and you had two pints? And you start going over it in your head. Memory for taste is very strong; memory for smells are very strong; and for other things not so bad, but we make up for that by using our imagination. We associate that one single good time, with having marvellous times all the time, with drinking being a marvellous thing to do. We start to taste the beer or the wine and these thoughts start to feed on each other. You know? Control is being able to go out and have one glass of wine and never having another glass. And doing that time after time after time, whenever you go out, whenever you have a dinner and stuff like that. But it’s an illusion like Alan Carr talks about in his book – aptly named Controlling Your Alcohol Drinking. It’s just an illusion of control which we never have control over it, because it’s a drug. This is a drug that we’re using. It’s not possible to control a drug because there are physiological things going on below the surface. There are physiological things going on below the surface, that we’ve got no control over. Tolerance is one of those things that alcohol has – the more you drink the more you need to drink. You can’t drink the same amount every time and still drink the same amount and still get the same feeling you know? The more you drink that same amount the less effect that amount has over you. So, it’s just a big trap. I mean I’m off the beer now, three years eight months, heading into my ninth month; no three years and nine months heading into my tenth month now, as I am recording this. I seriously cannot envision myself ever drinking again, because of the life that I am living now, because I’ve stopped drinking. I don’t want to go through the hangovers anymore. I don’t want to go through the mistrust that everyone had for me. All the different bad things that I’ve ever talked about, I know, will come streaming back into my life within a very short space of time, if I start drinking again. I don’t know what it would take to ever get me to drink, say, the future is a very unknown quantity. You don’t know what’s going to happen right. It would take something very, very bad and I don’t even want to think about what it would take. I know at the back of my mind probably what it would take but even then I don’t think it would drive me to drink. Whenever you get pressure in your life, when you can’t sleep, when you need to relax. When you haven’t got the alternative of, you haven’t got that escape route now any more of putting alcohol into your body,you do something differently, you know? If you’re not looking at another drug to do this, you’re going to do it naturally and you will learn by those things. 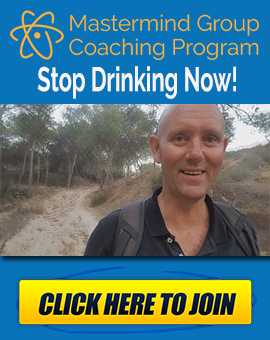 If you have a pressure in your life, if something happens in your life and you can’t turn to alcohol anymore, then you’ve got to deal with that pressure and try and alleviate the pressure through something natural, by solving the problem or whatever it is. But you deal with these things without the instant gratification right. Once you do that, you learn how to do that for yourself, you know? You don’t need to go back to drinking. You know you don’t need that hidey-hole that drink offers you. That you could just hide in and pull down the shutters. And you start to realise that all the times that you were doing that for yourself, never worked anyway. They only caused you more problems, because as you stopped, you don’t this anymore to yourself, your life will start to improve in so many different ways. And you realise that going back on alcohol is never going to be the answer. So even thinking about it momentarily – there’s nothing wrong with that right? But if you entertain the idea, if you start to allow yourself to go down that road, allow yourself, convincing yourself to go down that road – then yeah – it’s a big trap. I think when you do get over that year and you start thinking along these lines, it’s very difficult to go back. I think, you know, like I said earlier, I can’t imagine what it would take for me to go back on the booze now. I just think that wouldn’t either because it would be, yeah, I don’t want to go down there. So look, I’m just saying because you’ve not drank for six months or a year or three months or a month or whatever it is. And you think that you’ve got the alcohol under control. 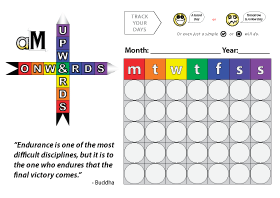 Because – A: because of the habit that you’ve learned, that always going to be lurking around in the background. Any habit that you break down, whether it’s a sugar habit or whether it’s a habit of watching TV, or any of those things, alcohol or any other drug, it’s always going to be there in the background, you know lurking away. I’m not saying that to say “well, it’s always going to be pressing buttons and stuff” it’s not like. If you go back to what you used to do, to the old behaviour, even if you try and do it and moderate that old behaviour. The old patterns will resurface very quickly. So it’s impossible to control this stuff you know? The only way to control this stuff is by not entertaining it, by not drinking it so. I’m afraid your latest vid for today 20/11/16- didn’t open for some reason. It said that ‘This video is private’, and that was that! An excellent video, its a tricky area. Alcohol is everywhere and keeping a healthy fear of it is a very good thing. Just like bleach or battery acid. Maybe even more so, people/society are not trying to convince you to drink that. I know I can’t ever drink again, unless I decided to go back to being a proper piss head. 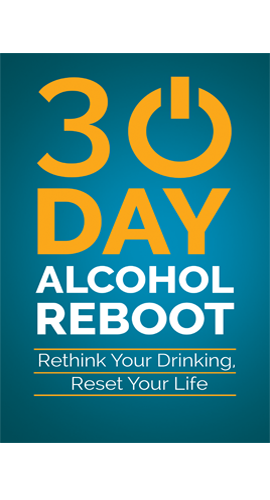 once you have been a heavy drinker, you are hard wired, literally your brain has been rewired, there is no going back. I don’t use willpower as such at any level not to drink, I simply don’t want to be pissed anymore and I am so much better for it. I do more and have more fun. Could something get me to want to drink? Is it possible I have got this wrong? and alcohol will give me or you some pleasure? 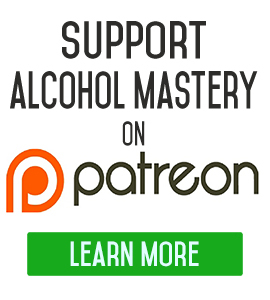 Alcohol will without doubt activate a pleasure center in the brain. So even if you could drink a glass of wine with your dinner and not even bother to get pissed its a bad thing. Alcohol free and proud. One month out and it was good to watch this video. I know that I will never be able to go back to drinking wine and somehow think that I will be a moderate drinker. I don’t want to return to that life of drowning my brain each night. In a month’s time, I am sleeping great, have more energy and much more focus but mostly…I feel a calmness that I didn’t have when I was drinking. I like that part a lot. Tonight…I am enjoying a nice glass of Kambucha. It tastes way better than wine, has very few calories and is so very good for healing the gut! Thanks for your help through this. I enjoy listening to your recordings.